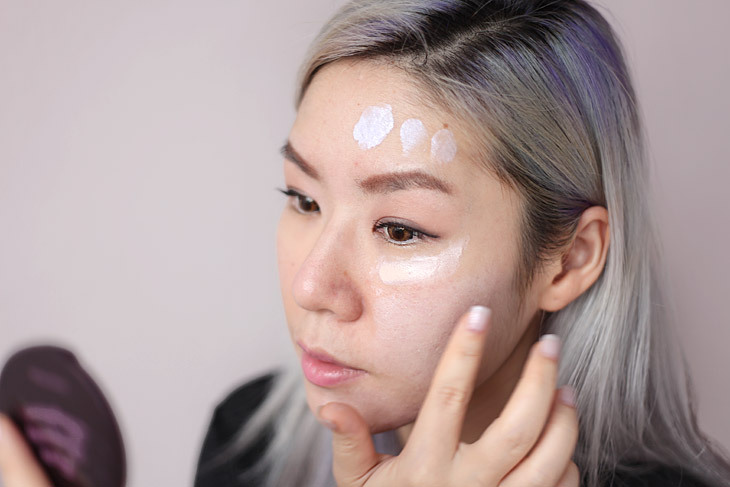 To be honest, I first tested this product on my hand during Laneige’s Beauty Road Roadshow which happened last month, and I was hoping I’d get a chance to try it out on my face. Which I have, and I’m super psyched to be writing about these because these are honestly lifesavers for me. I’ve used color correctors in the past, but the ones I’ve used usually come in a creamy/gel texture in a palette. 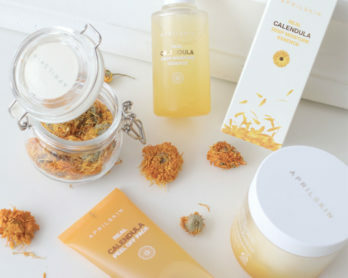 Because of my oily skin, these creams usually break up on my skin, causing my makeup to look.. coagulated, so while I have such said palettes, these are used for targeted areas only, and do not really help me when my skin goes into their habitual sallow mood. 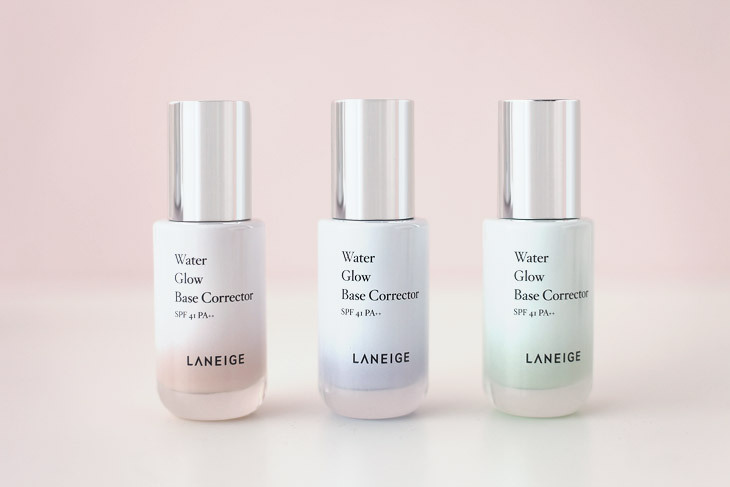 That’s where LANEIGE’S Water glow base correctors come into the picture, they comprise 40% moisture, and uses the Glow Lighting System, a formula with micro-sized water glow pearl particles effective at reflecting brighter lights to illuminate the skin naturally while, at the same time, concealing your skin’s imperfections. Also, LANEIGE has developed a new skincare technology, the Baby Blue Boosting™ technology , which is a magic pigment that reflects only blue light, to create an appearance of bright and clear skin. Similar to how blue colour in water is more apparent in larger water bodies (Think: the sea), more blue light is reflected when the skin is moisturised, giving a hydrated, glowy appearance. 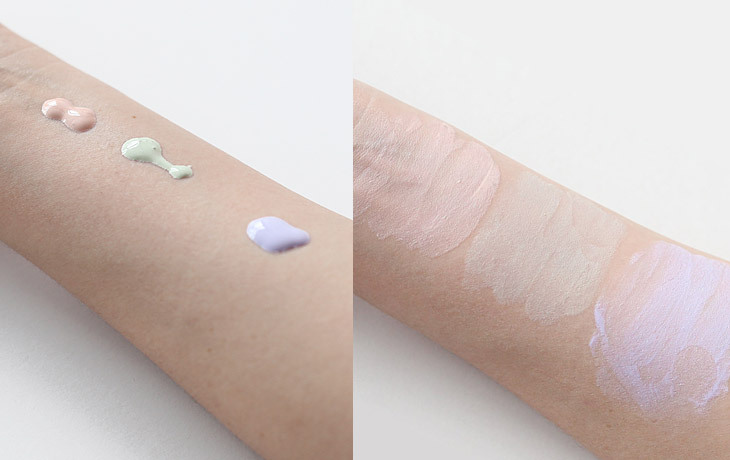 These come in 3 shades, #20 rosy pink, #40 light green, and #60 light purple, and are used to correct specific skin color issues that you may have, and here’s how each shade works to tackle different skin color issues! #20 Rosy Pink – Rosy pink is suitable for pale/dull skin, to give a rosy, radiant glow to the complexion. #40 Light Green – People who often have redness on their skin will find light green very useful as it neutralizes the redness, leaving your skin as a blank canvas for your makeup to go onto. #60 Light Purple – Light purple is great for sallow complexions with yellow/dull tones, and will lend a radiant glow to the skin. 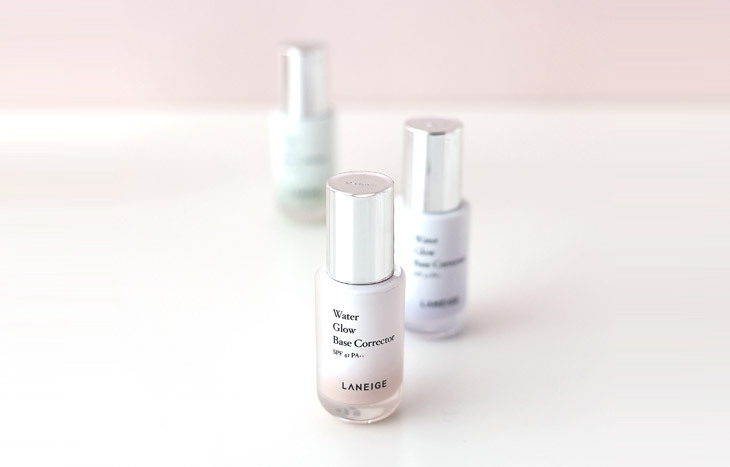 The texture of the corrector is very much like a lotion, and it worked really well and easily into the skin, giving a instant glow to the skin. Because of it’s texture, it didn’t feel heavy, or uncomfortable on the skin, and it basically felt like what moisturizer would, except for the extra radiance boost it was giving. 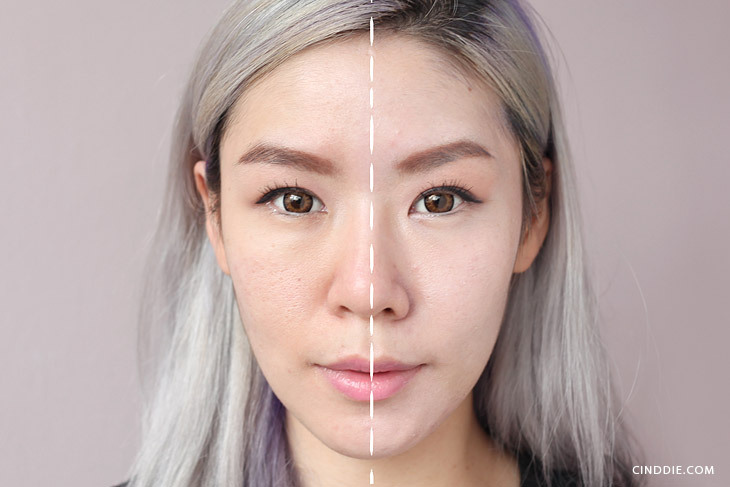 The corrector also acted like a make-up base for my cushion foundation, and I think it also helped my makeup last longer, while giving it a very natural and dewy finish that is very much a signature of the Korean beauty standard. Given my current skin condition, I find myself using #40 light green quite a fair bit in the foreseeable future since I tend to experience redness on my skin, but I’ll definitely be saving Rosy Pink for my periodic dark times. Yes, no doubt about it. These have made their way into my fancy day makeup routine! 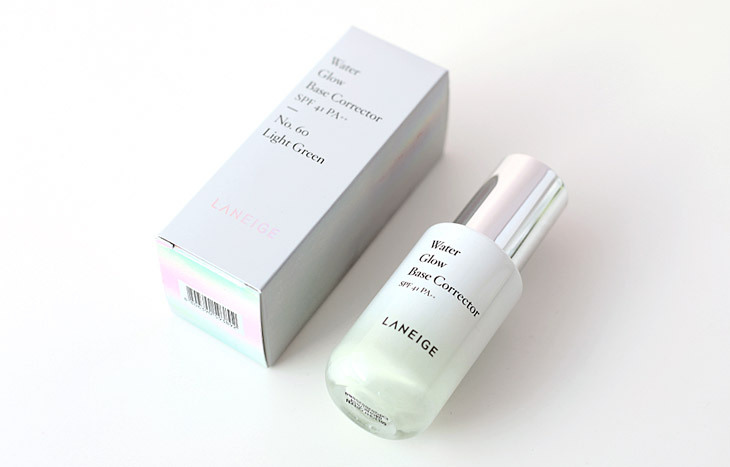 Where to buy: All LANEIGE boutiques and counters and online at Lazada.sg. Wow the result is amazing!